The HP 5830AF Switch Series is a family of high-density 1 GbE top-of-rack data center and campus switches that are a part of the HP FlexFabric solution module of the HP FlexNetwork architecture. The two models, the 5830AF-48G and 5830AF-96G switches, are ideally suited for deployments at the server access layer in medium-sized and large enterprise data centers and campus networks. 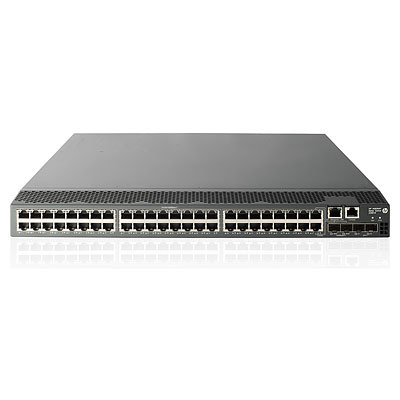 The HP 5830AF-48G Switch delivers 48 1-GbE ports and up to four 10-GbE ports in a space-saving 1RU package, while the HP 5830AF-96G Switch provides an industry-leading 96 1-GbE ports and up to 10 10-GbE uplink ports in a 2RU form factor.